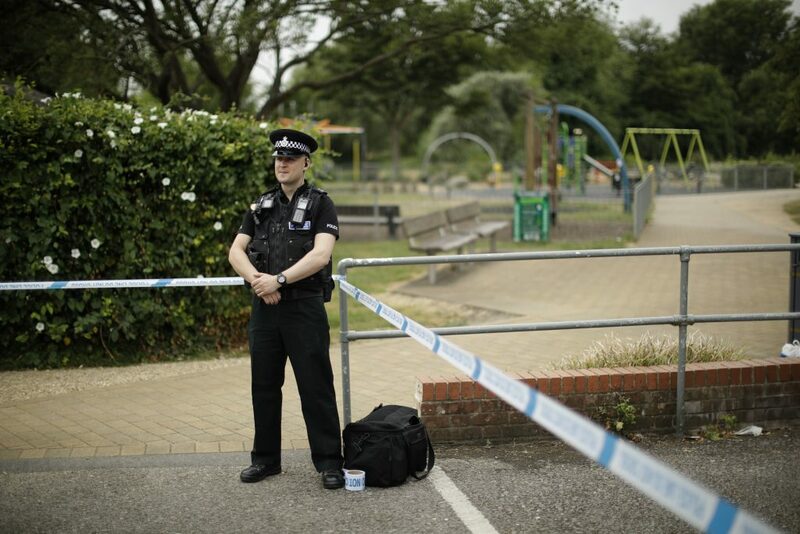 British officials investigating a second poisoning case with the nerve agent Novichok in southwest England said Thursday they suspect the victims were not directly targeted but sickened as a result of the March attack on a former Russian spy and his daughter. Police say specialists have determined that a British couple in their 40s who visited the city of Salisbury were poisoned by the same lethal toxin — developed by the Soviet Union — that almost killed Sergei and Yulia Skripal in the same English city in March. The new victims are now both critically ill in the same hospital that treated the Skripals. British Prime Minister Theresa May has blamed Russia for the first poisoning attack — an assertion the Kremlin denies. The unexplained poisoning of two British citizens with no immediately apparent link to Russia has raised public health concerns in Salisbury, where a massive decontamination effort took place after the Skripals were poisoned. Britain’s interior minister said the nerve agent was the same variety as that used against Skripal and his daughter, but it’s not clear whether the two samples came from the same batch. The new case has surfaced days before a NATO summit is expected to address worsening relations between Russia and the West. It also comes as Russia hosts the World Cup — a monthlong global extravaganza in which both the English and Russian soccer teams have advanced so far. The Kremlin’s spokesman says Russia is concerned but has had nothing to do with either poisoning case. Police declared the case a “major incident” Wednesday, four days after a local couple — identified by friends as 44-year-old Dawn Sturgess and 45-year-old Charlie Rowley — were found collapsed at a residential building in Amesbury, eight miles (13 kilometers) from Salisbury. Chemical weapons expert Hamish de Bretton-Gordon said the latest victims are likely collateral debris from the Skripal attack. Initially, the investigation was led by local police, but London’s Metropolitan Police said counterterrorism detectives took charge after the substance was identified as Novichok. He said 100 officers had been assigned to the case. Police said officers were called Saturday morning about a collapsed woman in Amesbury, then were summoned back in the evening after a man fell ill at the same property. Authorities at first thought the two had taken a contaminated batch of illegal substances. The Skripals’ illness initially baffled doctors after they were found unconscious March 4 on a park bench in Salisbury. Scientists at the Porton Down defense laboratory concluded they had been poisoned with Novichok, a type of nerve agent developed by the Soviet Union during the Cold War. After spending weeks in critical condition, the Skripals slowly got better. They were released from the hospital and have been taken to an undisclosed location for their protection. Doctors say they don’t know the long-term prognosis for their health.